And don't sell them as websculsives... thanks in advance. Looks like my patience paid off! Great news indeed! I would like for them to come up with a solution for the interchangable hands. I hate the use of the ball joints. The weight of the gunpod forces the hands to tilt down oover time. But yeah, ball jointed hands.. not so great, especially when you have to be able to remove them. It's basically building a point of failure into your design. 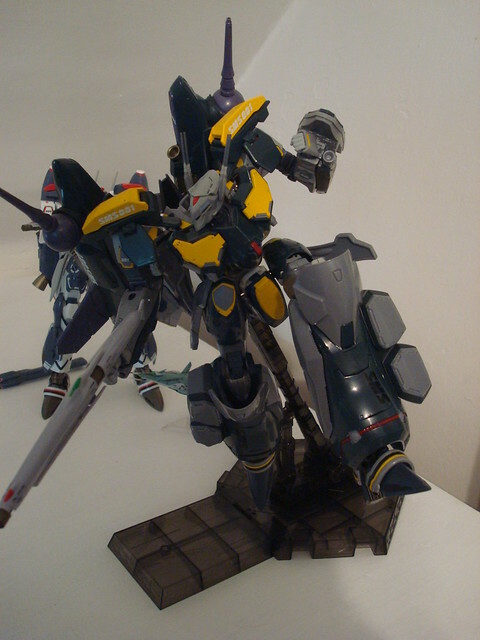 Cool, this a reason why I never bought the DX VF-25 in the first place. 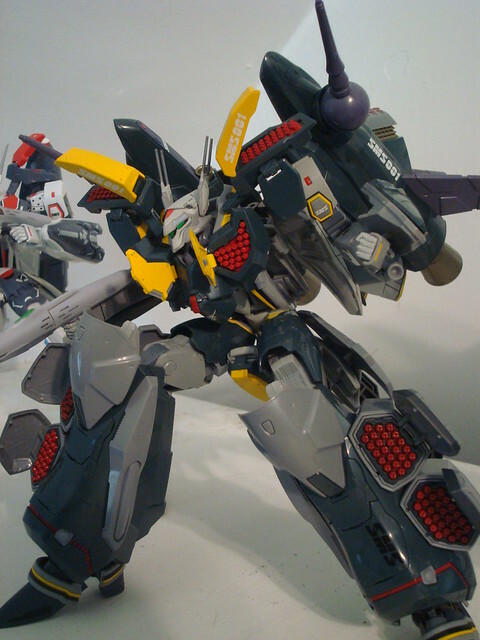 On the YF-29, it comes with a pair of hands with posable fingers and it dose not required to be removed during transformation. The finger joints are tight and it can hold the gunpod without any problem, even if you don't use the peg in the palm to hold it, one of the biggest improvement. wow good thing i checked MW, was about to pull the trigger on a tornado VF-25G as mikhail's was the only valk i still wanted (i don't care for luca's). wonder if the upcoming V2's will look good or out of place with the original DX's. i'm going to be happy if they fix all the STUPID mistakes (turns into floppy mess just sitting on shelf, fear or cracking wing/shouler area on the armored ozma, lack of knee bending with superpacks/tornado armor) but crap, am i going to re-buy all this so soon? HEHEHE - but no, You can actually bend the knee in Tornado and Armor Packs - check out my pose posts. But you are right, you can't bend the knee on the Super Pack versions. I'm not rushing to buy anything. Also if you didn't know - there seems to be cracking stress issues on the yf29, I mean common' we all are responsible grown men (yes I said grown men), we just gotta treat our Valks like they were babies - Mine has no defects, no cracks nothing. And is staying that way. wow nice poses man! i knew about the armored ozma being able to bend knees, never even put my tornado armor on the alto i have other than in fighter mode....i just assumed the leg armor design would be the same! just saw the yf-29 issue just now...i'll check mine later, but from that picture i have a feeling its an issue with handling....just my opinion. time will tell. 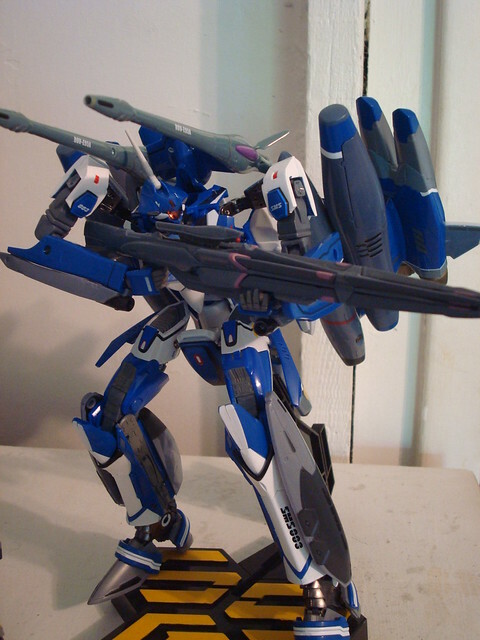 maybe i should just buy the vf-25G tornado and be done...unless the v2 proves to be much superior. Wow, the most stunning pose I have ever seen with the Armor Pack!!! Like I said before, all this non-sense with the VF25 DX Messiah Ghogokin series V1 not being able to pose or crappy knee motions with certain packs (Super) - if you got creativity, some knowledge you can push these figures to the edge. Me, I'm skipping on the v2s. I love my collection too much. 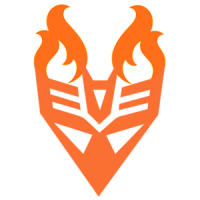 "I am the future of mech joints!" Each row/column has different click frequency. So you cna do a large and fine click. Like how you had two turrets on the leader class brawl. But just imagine this joint was easy to pop off so you can "tune" it? (like a quick release thing) Forget springloaded gimmicks and other things, let's see inovation in joints for larger figures. You've done some amazing poses! -- Poses that manage to hide the ugliness of the version 1. I want a version that looks nice without having to hide. 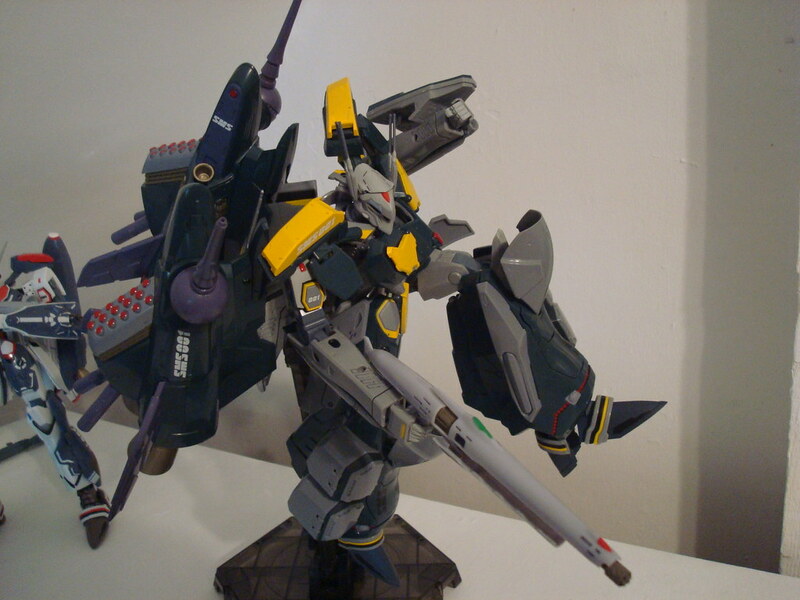 They did it with YF-29, and I am looking forward to VF-25 version 2! You can do much more with it and your creativity. Ｉam not that optimistic. The armor and super packs could very well be exclusives, since their main focus is in the Japanese market and don't really give a crap about overseas sales figures, online in Japan doesn't make things harder to get for locals, it's probably even easier since you click and the package arrives at your doorstep. Selling online and skipping the retailer is a trend, to our disadvantage. I agee with the balljoint thing. I wish they invented some kind of joint that was a ball joint that clicked like a revoltech joint that didn't look ugly but was great for large toys. Does anyone remember ZOOBs? just make a ball joint where the ball is dimpled like a golf ball and have a couple pins in the cup that engages the dimples via spring pressure. Mine's the same, except I'd probably prefer the Tornado Pack on Alto. Please have mercy on us with the web exclusives Bandai! Also put magnets inside the golf ball just in case it holds a big gunpod lol. Looking good. Skinny is the new black. The crotch piece angled out is just how I like it. Somebody compare with cg model. wonder if they're using the same gun. So far so good. Yay! Now show me the S! seriously, WTF Bandai? nobody wants a naked VF-25 toy, and this had better not be a Web exclusive or I'm gonna seriously punch someone in the face. i actually prefer alto's without super parts. Would rather have tornado pack if anything. Have a feeling they'd re-release again down the line with super or tornado packs like they've been doing. Show me the S with Full Armor! 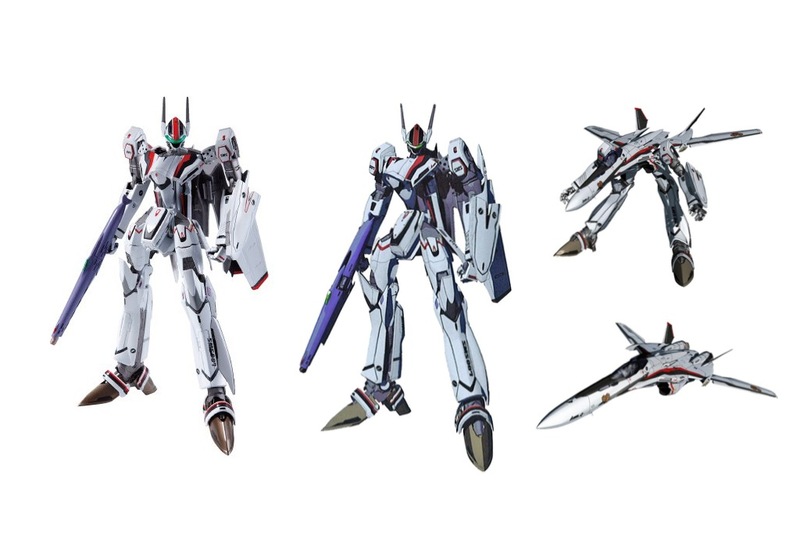 Time to save and hope this time they'll release VF-25 CF. Looks pretty good so far, really need to see fighter mode though. If all looks good I'm going to try and hold off till an Ozma 25S is released. That is THE most accurate Battroid mode I've ever seen compared to the line art. If the fighter mode looks as good, then SHUT THE FRAK UP AND TAKE MY GODDAMNED MONEY!! 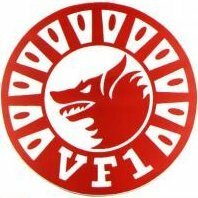 I really hope that they will add small ball joints to antennas just like in Yamato's VF-19Kai and make them splittable! !